Posted by Emma in Non-Fiction. 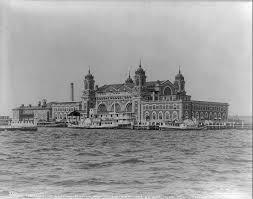 From 1892 to 1924, Ellis Island was America’s largest and most active immigration station. Over 12 million immigrants were processed. For the vast majority of immigrants, Ellis Island truly was an “Island of Hope” – the first stop on their way to new opportunities and experiences in America. For the rest, it became the “Island of Tears” – a place where families were separated and individuals were denied entry into this country. provides a searchable database and copies of passenger manifests of ships arriving at Ellis Island from 1892 through 1924.